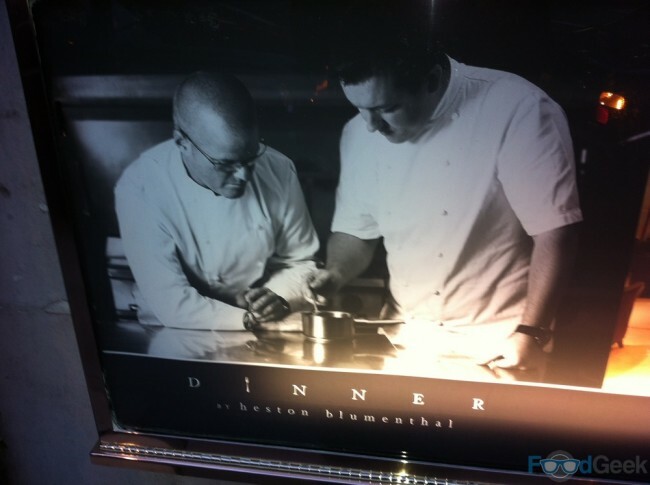 I tried to get a reservation at Dinner By Heston during it’s open weeks in 2011 only to miss out on the last table by seconds. It was then booked up for the next 3 months, after that for various reasons it took me almost a year to finally get a reservation. During that time Dinner has gained it’s first Michelin star and been voted the 9th best restaurant in world by the ‘San Pellegrino World’s 50 Best Restaurants’. When the date finally arrived we headed for the Mandarin Oriental hotel in Knightsbridge. The hotel is posh but modern and stylish rather than legendary classic hotels like Claridge’s or The Dorchester. The restaurant itself is modern and stylish, Mrs FG commented that it was very masculine which I agreed with as i’d just been thinking that it reminds me of Patrick Bateman’s apartment in American Psycho thanks to the heavy use of wood paneling and dark leather. There are what can only be described as ‘jelly lamps’ on the walls. I thought they were great, she didn’t but then she isn’t a man. The huge floor-to-ceiling windows on the far side overlook an impressive looking Hyde Park. After being seated we were asked if we would like an aperitif, we told the waiter we would browse the menu first as we weren’t sure if we fancied champagne or a gin & tonic. Before we had decided we were asked for our food order, it felt a little rushed but luckily we had decided. To be honest i’d picked what I wanted about 11 months ago. 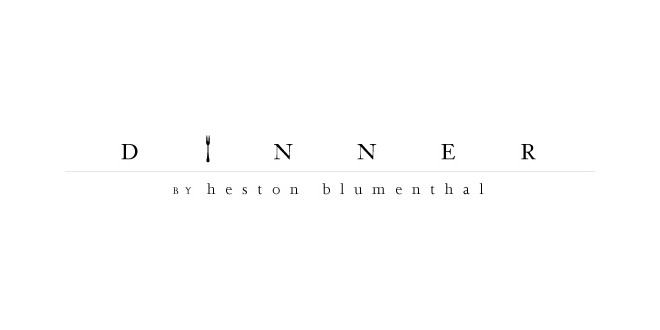 The menu consists of dishes that Heston has recreated from culinary history and they’re labelled with approximate dates ranging from c.1390 (Rice and Flesh with Saffron, Calf tail & red wine) to c.1940 (Cod in Cider with Chard & Fired Mussels). Nobody ever came back to ask about the champagne which was disappointing. The sommelier brought the wine menu shortly afterwards and didn’t even mention it, I suppose I could have told him but I really couldn’t be bothered by that point. The starters arrived fairly quickly, I’d ordered ‘Meat Fruit’ (c.1500), it had a lot to live up to as i’d decided I wanted it before the restaurant even opened and been desperate to taste it for almost a year. Thankfully it lived up to and went well beyond all expectations, the only word I can use to describe it is ‘epic’. It is without doubt the best starter i’ve ever tasted and just perfect in every way. It looks absolutely stunning, a realistic shiny small orange with green leaves. It looked so good I almost didn’t want to cut into it, once I did and broke through the skin which was made of mandarin jelly inside was the most amazing chicken liver parfait. It was rich yet so silky and smooth and it tasted absolutely amazing. Mind blown. 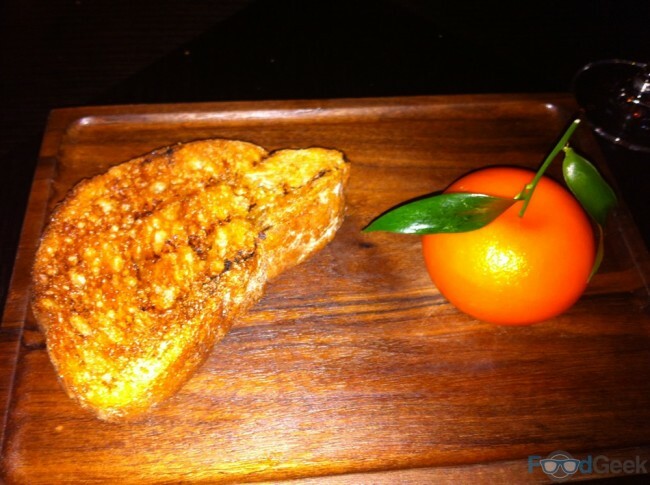 It was served with a slice of char grilled toast, my only complaint with the dish is that there is just too much parfait for a single slice of toast, the waiter seemed to read my mind and offered by an extra slice which arrived quickly. I very much appreciated it but wonder why they don’t just serve it with two slices in the first place? 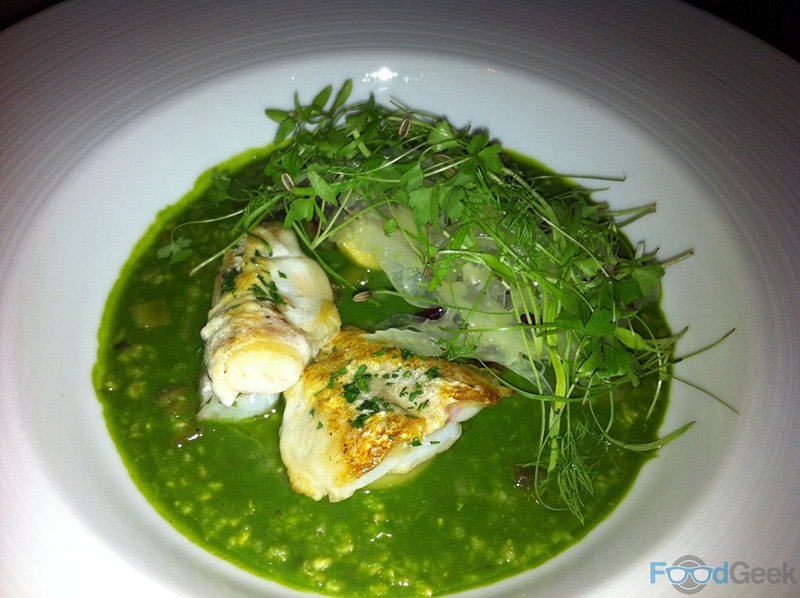 Mrs FG ordered Savoury Porridge with Roast cod palette, smoked beetroot, garlic, parsley & fennel (c.1660). The porridge was nettle flavoured. She loved it and whilst the bit I tried wasn’t even close to touching my Meat Fruit it was very good, the nettle flavour was distinctive but not overpowering and the other flavours worked so well with it an unusual but interesting and delicious combination. We’d also been enjoying the excellent bread so much that we’d finished it before our starters and were offered more which we of course accepted. However, just like the champagne/G&T, it never arrived. Our main courses did though; Roast Turbot with Leaf chicory & cockle ketchup (c.1830) for me and Powdered Duck Breast with Smoked confit fennel & umbles (c.1670) for her. With sides of potatoes and green beans with shallots. 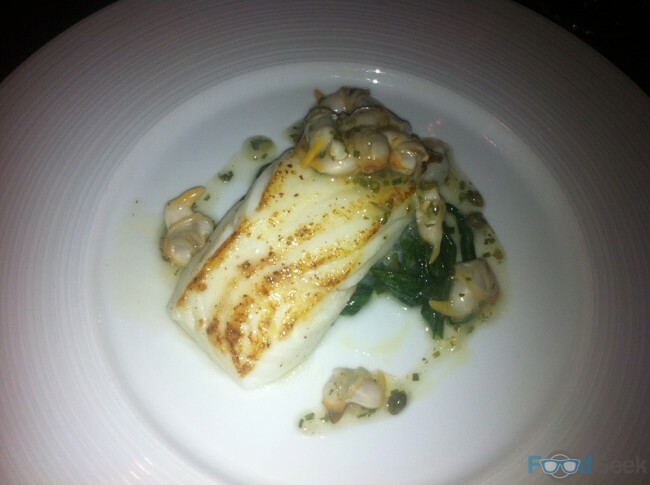 The turbot was meaty and cooked to perfection, the chicory added bitterness and the cockle ketchup was quite sour but tasted great all together, it added up to a perfectly balanced dish with exciting contrasts of sour, bitter and salty flavours. My starter definitely won that round but it was much closer with the mains, if anything the Duck Breast may just have edged it. The duck was fantastically moist & pink, cooked sous vide I believe. I’m not sure what the spices were in the powder but it tasted good. The smoked fennel was interesting and complimented the duck well and there were tasty pieces of duck heart too, an unexpected but very welcome surprise. Before our desserts arrived we were given a small shot glass of chocolate ganache with orange blossom and caraway seed biscuits. Both elements tasted great on there own but together they were another brilliant flavour combination. 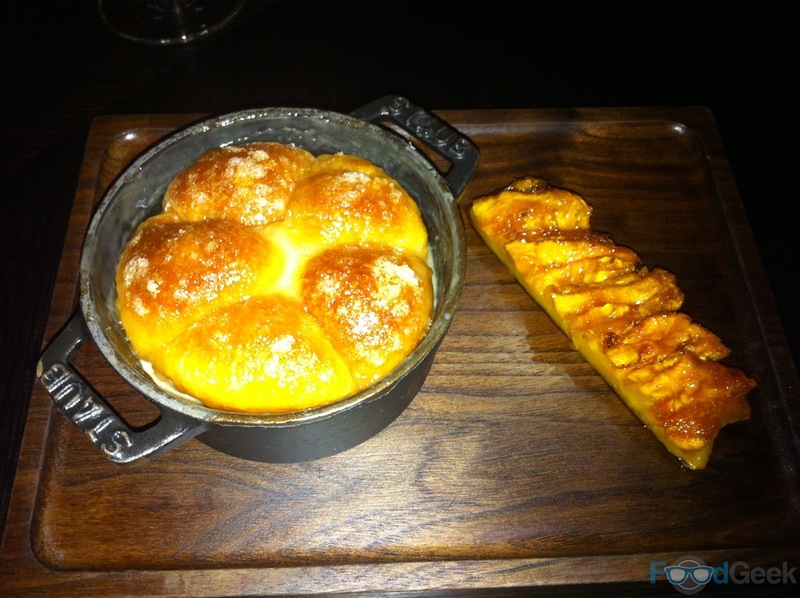 My dessert was Tipsy Cake with Spit roast pineapple (c.1810). I’d already had without doubt my favourite ever starter and was now being treated with probably the best dessert i’ve ever tasted too. The tipsy cake was just exquisite, sweet and delicious but it was all about the texture just the lightest, fluffiest, almost brioche like ‘cake’ i’ve ever experienced. Just amazing, I’ve still not stopped thinking about it. The spit roast pineapple was gorgeous too, dark and caramelised on the outside, sweet & juicy on the inside. Just an incredible dessert. 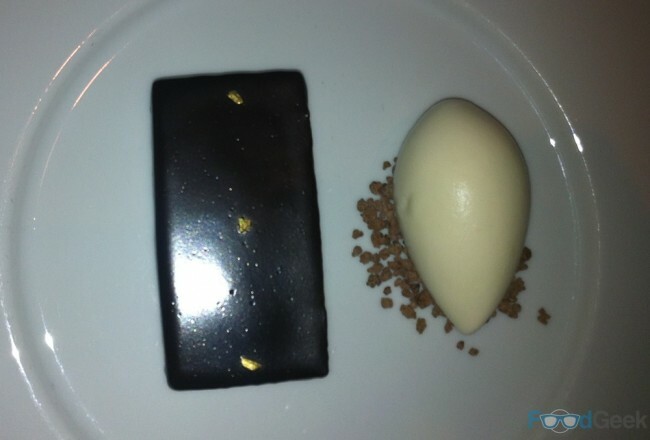 Mrs FG had the Chocolate Bar with Passion fruit jam & ginger ice cream (c.1730). It looked like a very large and very expensive chocolate bar, it tasted great. Dark and rich chocolate with sharp but sweet passion fruit flavour from the jam and the ginger ice cream was unbelievably good. From a food point of view this was one of my all time favourite meals featuring 2 of my all time favourite dishes. I also loved the place, the decor, the views of the park and the wine. Whilst the service in general was excellent the 2 problems with the aperitif and the broken bread promise were unacceptable for a restaurant at that level. They weren’t enough to ruin the night but only thanks to everything else, particularly the incredible food. I’ll definitely be back. 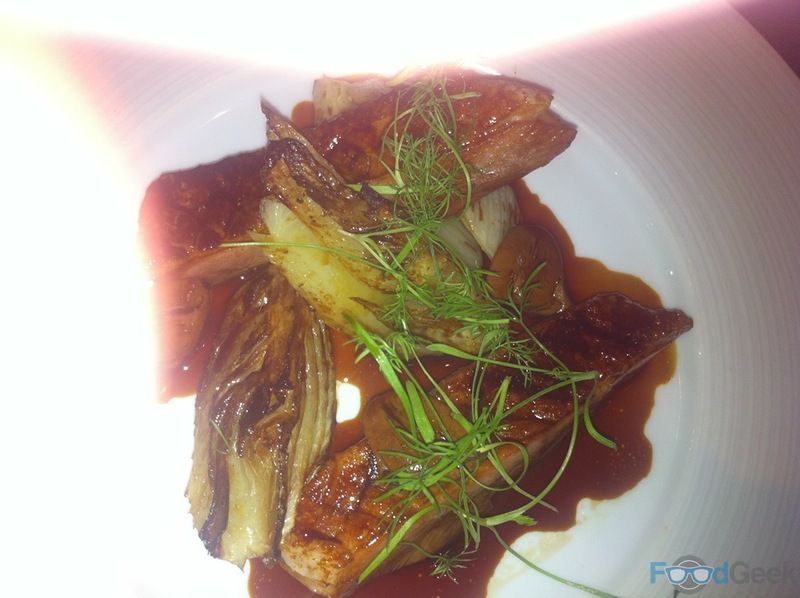 Summary : Stunning food, only slightly let down by a couple of service issues.